The Chairman, Senate Committee on Media and Public Affairs, Senator Aliyu Abdullahi has demanded that the senate would not uncovered salaries of its members. Abdullahi said this amid a live program on Channels Television entitled, 'Politics Today' and checked amid the end of the week. 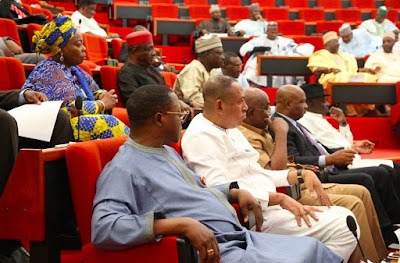 Review that the Chairman, Presidential Advisory Committee Against Corruption, Prof. Itse Sagay (SAN), has asserted that a Nigerian senator earns N29m every month. At the point when the moderator asked him the amount he earned, Abdullahi indignantly said it was inconsiderate of the moderator to ask him how much every senator earned. Abdulahi stated, "You don't anticipate that me will turn out on national television to state this is the thing that I earn. It is not done. I can't ask you as a journalist the amount you earn. It is not done. "In the event that anyone is occupied with the amount we are getting paid, you know where to get the data. The documents are accessible. In the event that Nigerians will have a hard time believing that, is it what I will state that they will accept?" The Senate representative said the figures discharged by Sagay were false, including that the Senate's financial plan was not even as high as what Sagay discharged. He said Sagay was just attempting to cause pointless pressure between the National Assembly and the Presidency. He included, "This issue has turned into a repeating decimal. Over the most recent two years individuals have been talking about this issue and I generally ask myself, what would individuals truly like to accept? I think if this topic has been examined for a long time and we are as yet taking a gander at issues wrongly, at that point I think there is some kind of problem with us. "The institutions that are in charge of giving this data are there. A law was declared on Top Salary Scale otherwise called TOPSA and it depends on this scale everybody who holds one political office or alternate gets paid. "I need to likewise present that I assume Prof. Sagay would have been paid in light of the arrangement of this scale. For us in the National Assembly, the inquiry should be solicited 'what is the cost from having democracy and what is the cost of not having democracy?'"